Four and I’m under the host! Hello everyone! Today we’re focusing on two cocktails named after ladies. One is a light and airy soul, much maligned among the cocktail intelligentsia but cheerful with her lot. The other is a forgotten ghost, rarely seen or heard, who haunts the edges of cocktail history. Both have one thing in common: raw egg whites. Why eggs, you ask? Because eggs were yet another way to mask the awful taste of cheap bootleg gin, as the creaminess of the egg helped to smooth the harsher notes of the alcohol. While Townsend describes the typical drinker of the Pink Lady as timid and inexperienced with alcohol, he concedes that the drink itself “packs quite a wallop.” That’s because of a unique ingredient: applejack. For those who don’t know, applejack is distilled liquor made from apples with a considerable kick. It was one of the first distilled spirits created in the American colonies. While technically it’s a brandy, it “tastes more like an apple whiskey” according to Haigh—and affects a drinker in much the same way. The applejack also gives the Pink Lady “its own distinct flavor,” something which is sadly lost in later versions of the drink when the ingredient disappears. 5 dashes grenadine. Shake well. Note the lack of applejack in the following recipe. Now we just have a sweet pink drink with gin…how sad! 😦 This vintage version comes from Duffy’s Official Mixer’s Manual (1934). I’ve included two different modern versions of this drink here, as they represent slightly different takes on this drink. The first comes from The Ultimate Cocktail Encyclopedia by Walter Burns and contains cream, which is supposedly another 1920s recipe addition. The second is by Tom Haigh, a.k.a. “Dr. Cocktail,” who printed a special version of it in his book, Vintage Spirits and Forgotten Cocktails. 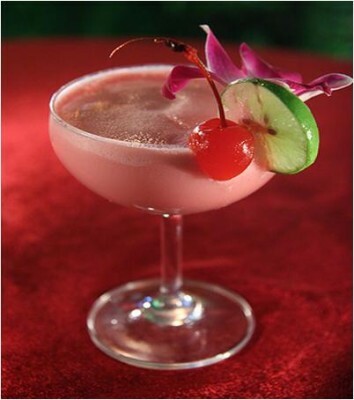 He considered the Pink Lady’s name so controversial that he rechristened it “The Secret Cocktail,” rather than have people reject it out of hand. Shake it up with all due vigor in an iced cocktail shaker, strain into a cocktail glass, and serve with a cherry. 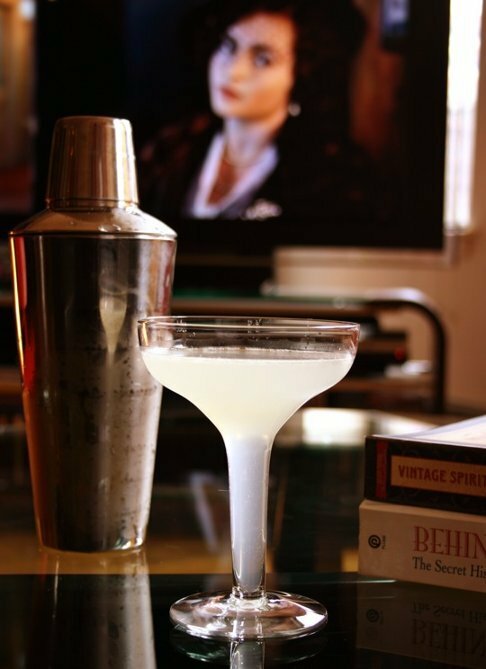 The White Lady is another Prohibition cocktail with a murky past. Folks say she was invented by a guy named Harry—but which one? Esquire magazine claims that the White Lady was invented in 1919 in London by Harry MacElhone, an American transplant, as a direct response to the horrors of WWI. According to Esquire, his original recipe consisted of an “unhealthy” blend of two thirds Cointreau, one sixth crème de menthe, and one sixth lemon juice—a combination that supposedly evoked the choking clouds of chlorine gas that floated through the trenches of WWI. Later on, when Harry had established his own bar in Paris, he returned to the White Lady and tried a different tack, replacing the crème de menthe with gin and cutting back on the Cointreau—but adding an egg white instead, in keeping with its ghostly appearance. Others say that it was made by Harry Craddock, another famous cocktail inventor at the Savoy Hotel in London. This seems to be substantiated solely by the fact that it appears in that holy grail of cocktail guides, The Savoy Cocktail Book (1930), rather than any actual facts. Perhaps that’s what made it the favorite drink of comedy duo Laurel and Hardy! The modern version listed below comes from Employees Only, a cocktail bar in New York that re-imagines classic Prohibition cocktail recipes. They published this version of a White Lady in their book Speakeasy: Classic Cocktails Reimagined. It calls for Plymouth gin, a special kind of gin that comes from England, but it’s possible to use other kinds of dry gin. Pour the gin, Cointreau, and juice into a mixing glass. Add large cold ice cubes and shake vigorously. Strain into a chilled cocktail glass and garnish with the orange twist. Interesting, no? 😉 You can read the rest of Felton’s article here. Haigh, Ted. 2009. Vintage spirits and forgotten cocktails: from the alamagoozlum to the zombie and beyond : 100 rediscovered recipes and the stories behind them. Beverly, Mass: Quarry Books. Kosmas, Jason, Dushan Zaric, and John Kernick. 2010. Speakeasy: classic cocktails reimagined, from New York’s Employees Only Bar. Berkeley, CA: Ten Speed Press. This entry was posted in drink recipes and tagged 1920s cocktail recipes, Pink Lady cocktail history, Pink Lady cocktail recipe, vintage cocktail recipes, White Lady cocktail history, White Lady cocktail recipe. Bookmark the permalink.